Sprites in Orx are called Objects. These are the heart of games in Orx. 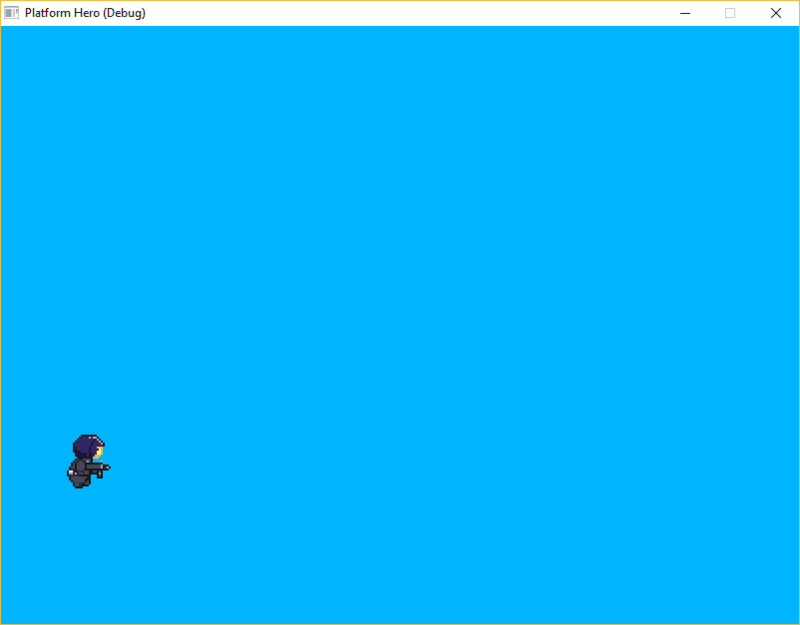 Our platform game is going to need a hero. Let's replace the default object in our game with a hero object. Copy this file into your MyGame/data/texture folder. When a HeroObject is created in code, he will be placed at co-ordinates -350, 100 on the screen (from the center) and scaled up 2x in size. We can specify multiple paths here and we will do so further down the track. So good job! Next step is to animate our soldier. Next: Part 7 – Spritesheets and Animation.